Joanne Sher: Editor/Proofreader : Madily In Love - Check It Out! Madily In Love - Check It Out! I don't do book tours/highlights very often. (Just not my thing) But when a dear friend has a new book out, sometimes, I just can't help myself. 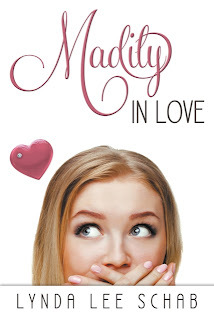 And so my dear FaithWriters/ACFW/local friend, Lynda Lee Schab, is here, announcing that the second book in her Madi series, Madily In Love, is now available. All Madi Lee McCall wants is to fall madly in love again…with her husband. After a rough patch, Madi’s determined to get her marriage back on track. She’s even taking a romance class at church and getting great suggestions…that fail miserably. The distractions are plenty. She has just reentered the workplace as a health spa receptionist. Her 16-year-old daughter, Christina, is pushing the limits, and Christina’s twin, Max, has fallen hard for a girl who isn’t Madi’s picture of a perfect match for her son. Even younger daughter, Emily, is developing a teenager-ish attitude. When her mother-in-law moves in—temporarily, of course—the stress starts to drive Madi a little crazier than normal. What she wants, more than anything, is some peace among the chaos. Sounds good, eh? Well, it is (yes, I've read it) :) Stop by here to purchase it, whether from the publisher, Amazon, Christianbook.com, or elsewhere. And it's also available for your Kindle! Lynda is also offering signed copies for just $12 (plus $3 if you're not local and need it shipped) - just stop by her blog to order one. What is Madily in Love about? Tell us a little about the plot. 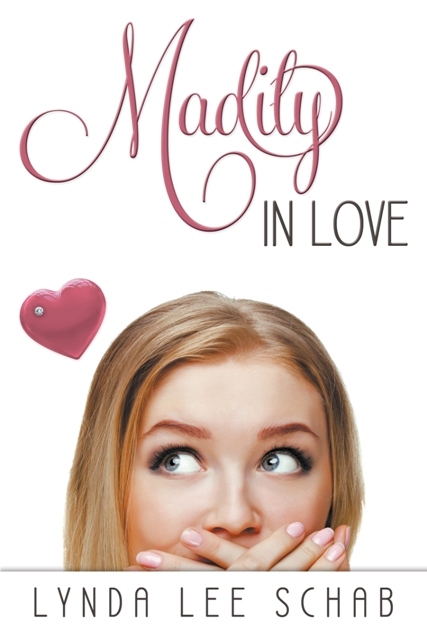 Madi McCall is just coming out of a marital rough patch (you’ll have to read Mind over Madi for that whole story) and she’s trying to get her marriage back on track. But that’s easier said than done, especially because her mother-in-law has moved in, Madi’s recently started working again after years of being a stay-at-home-mom, and her kids seem determined to do everything they can to turn her hair even grayer than it already is. Madi attends a Revitalize Your Marriage with Romance class at church and gets some great tips…that fail miserably. All she wants is some peace among the chaos. And some quality time with her husband would be nice, too. What do you want readers to take away from reading Madily in Love? Although this book has to do with the importance (and fun) of adding romance to marriage, the main thing I hope readers can take away is that even though life seems unmanageable, disorderly, and chaotic, God is always in control. One of the recurring phrases throughout the book—as mentioned by Madi’s counselor—is “Embrace this place.” In other words, no matter what you’re going through, recognize that it won’t last forever. And down the road, you might just look back and see just how that “unbearable” season was essential in moving you to a place of growth and necessary change. I am currently working on the 3rd and final book in the Madi series, due out in the fall of 2013. It’s titled, Sylvie & Gold. Madi’s best friend Sylvie is preparing for her wedding (and if you’ve read Mind over Madi, you know who she’s marrying). With just a few weeks before the wedding, Sylvie is dealing with a lot: Her meddling and feisty soon-to-be mother-in-law, her son’s sexting issue, planning her mom’s sixtieth birthday party, and her fiance’s ex-wife, who has come back to town after a seven-year absence. Sylvie is normally pretty calm and collected. But her stress card is quickly getting maxed out. The question is whether she’ll completely lose her cool or find the happily-ever-after she longs for. I’ve been married to Rob for over twenty-four years. He works for a dairy company (yes, that means free ice cream sometimes!) and is an all-around great guy. We have two teenagers, who both inherited my creative gene and love of reading. Zach is 18 and graduated from high school last spring. He’s taking a year off to work, but will attend college next fall. My daughter Lyndsey is a sophomore and plays the cymbals in the high school marching band drum line. She is a social butterfly and hopes to go into special education. My website address is www.lyndaschab.com. I also have a blog with various writing and reading-related material at www.on-the-write-track.blogspot.com. You can also connect with me on Facebook and Twitter. Lynda Lee Schab got her writing start in greeting cards (Blue Mountain Arts, Dayspring) and from there went on to write articles and short stories (Mature Living, Christian Home & School) and in many places online (including www.Examiner.com and www.wow-womenonwriting.com). As a freelance writer, she works behind the scenes at FaithWriters.com and is a regular book reviewer for FaithfulReader.com. 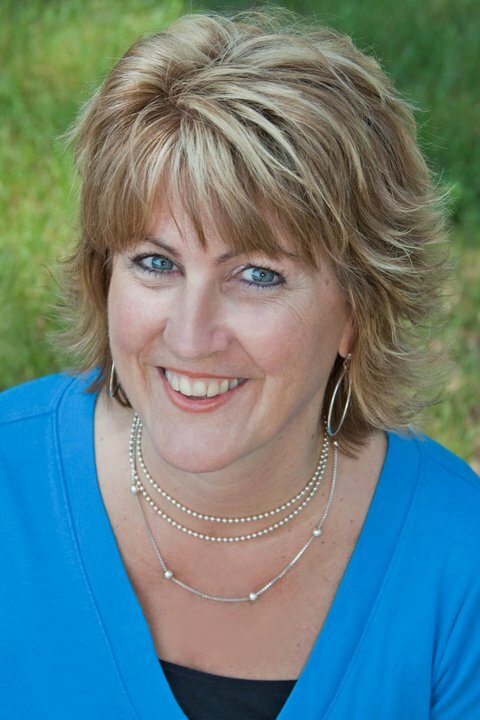 She is also the Grand Rapids Christian Fiction Examiner and the National Writing Examiner for Examiner.com and a staff writer for www.SharedSorrows.com. Mind Over Madi placed second in the 2008 ACFW Genesis contest, chick lit category, received a highly commended award in the FaithWriters Page Turner contest, and was a finalist in the 2007 RWA Get your Stiletto in the Door contest. Madily in Love was a semi-finalist in the 2011 ACFW Genesis contest. Lynda admits she has a lot in common with the character of Madi. Not only are they both addicted to ice cream, chocolate, and computer games, they struggle with the same types of insecurities and continually require a hefty dose of God’s grace. Lynda lives with her husband, Rob, and two teenagers in Michigan. Thanks so much for featuring me today, Jo! You are a blessing! This book was lots of fun to write. Hope your readers enjoy it!